Comfortable and smart, this organic t-shirt is the ideal way to tell everyone about your love for Hemp Hoodlamb. 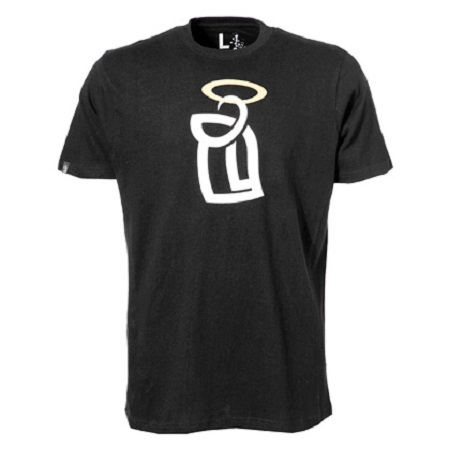 Angel v Devil Men's Hemp T-Shirt by Hoodlamb Clothing: Whether you're a saint or a sinner, show off both sides with this very subtle, but very cool, Angel v Devil Men's Hemp T-Shirt. Comfortable and smart, this organic t-shirt is the ideal way to tell everyone about your love for Hemp Hoodlamb clothing range. The perfect clothing for the earth conscious and stylish person in today's eco-threatening world, this hemp t-shirt is made from a blend of Hemp and Organic Cotton meaning it has green credentials that go through the roof as well as being super soft and breathable.